Practice Subtract 1 with dots up to 10 with this worksheet. Practice Subtract numbers horizotally aranged 1 digits with this worksheet. 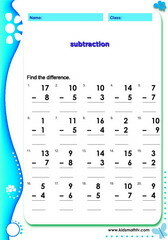 Practice Subtract single digits with this worksheet. Practice Subtract single from 2 digits with this worksheet. 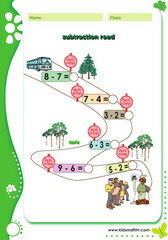 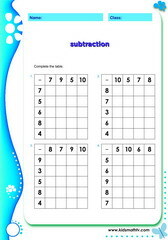 Practice Subtraction bus stop to 10 with this worksheet. 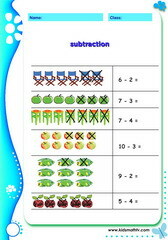 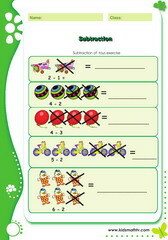 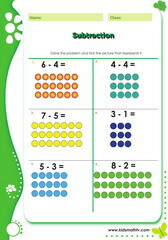 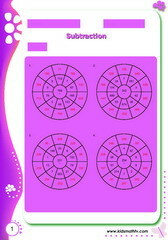 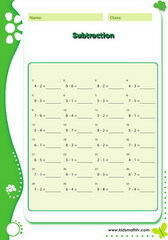 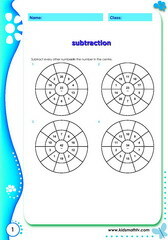 Practice Subtraction illustrated with this worksheet. 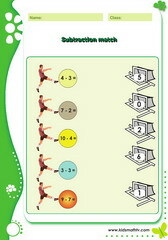 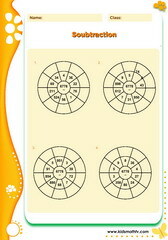 Practice Subtraction matching exercise to 10 with this worksheet. Practice Subtraction sentence problem with this worksheet. 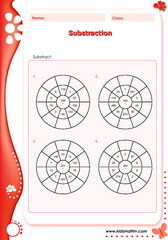 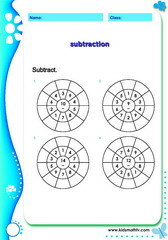 Practice Subtraction single from 2 digit numbers with this worksheet. 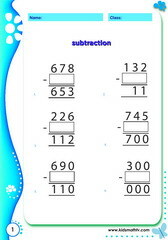 Practice Subtraction up to millions with this worksheet. 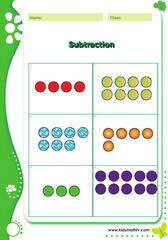 Practice Subtraction with regrouping with this worksheet. 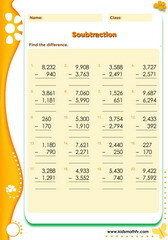 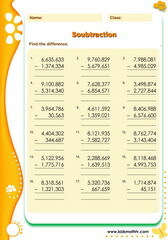 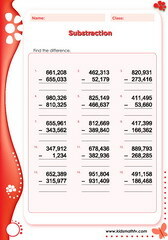 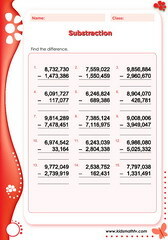 Practice Subtract up to hundred thousands with this worksheet. 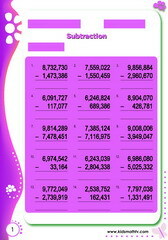 Practice Subtract up to millions with this worksheet.